Do you love going to the gym? Consider yourself a bit of a fitness-fanatic? Why not turn your passion for health and fitness into a career by becoming a fully qualified Personal Trainer. Due to the rapid growth of the health and fitness market, demand for PTs is on the rise, so there’s never been a better time to kick-start your career in health and fitness! What Does a Good PT do? What Skills and Traits Make a Good PT? Level 3 or higher qualifies you to become a member of the Register of Exercise Professionals (REPs), a great way to enhance your reputation and demonstrate your extensive knowledge and skills. It is also good practice to have a first aid award, including a cardio-pulmonary resuscitation certificate (CPR). Check out some of our partners for great deals on a wide range of industry recognised qualifications. As you near the completion of your qualifications, it’s time to start thinking about your employment options. 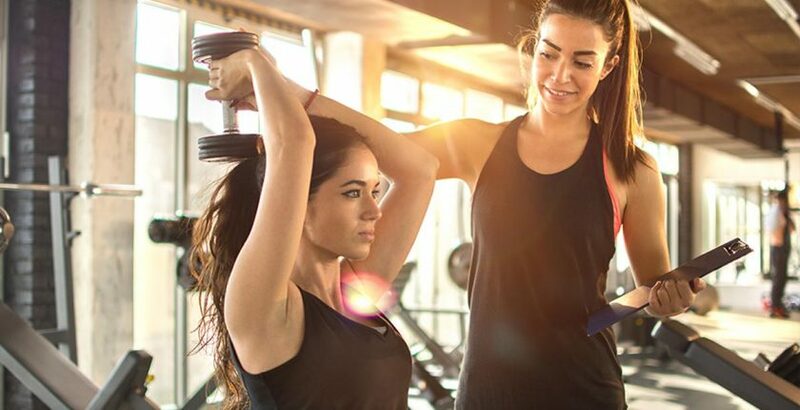 The first thing you need to do is head to gymcareer.com to browse the latest roles in health and fitness and get a feel for the type of position you’re looking for. Be sure to check out our 360 site tours to see how each gym site is kitted out! Create your personal gymcareer profile, to which you can add your CV, qualifications, videos and pictures to showcase your professional achievements and make yourself stand out from the crowd. You can also add links to your professional social media channels to give employers the opportunity to see your personality and expertise. From your gymcareer profile, you can quickly and easily apply for the latest opportunities in health and fitness. Congratulations, you’ve made it! You’re now a fully qualified, employed/self-employed personal trainer! For help building your personal training brand and client base, get in touch with our sister company, gymcreate!